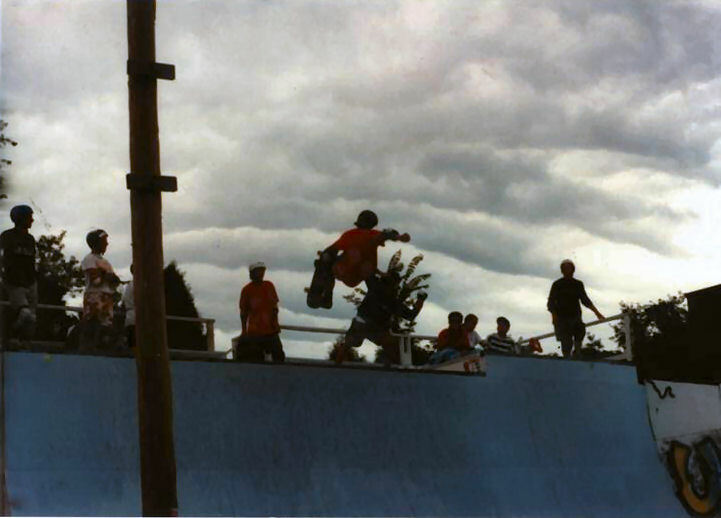 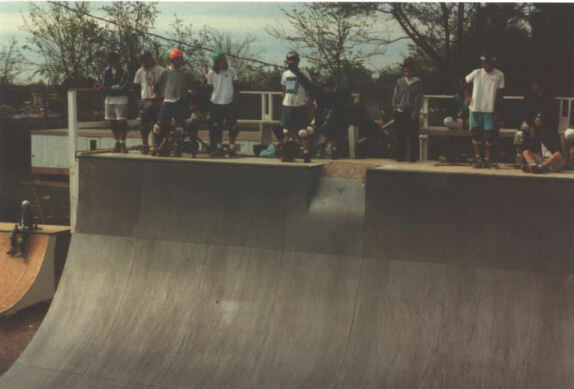 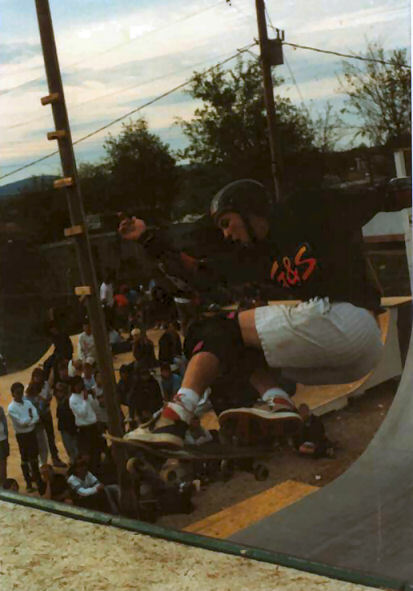 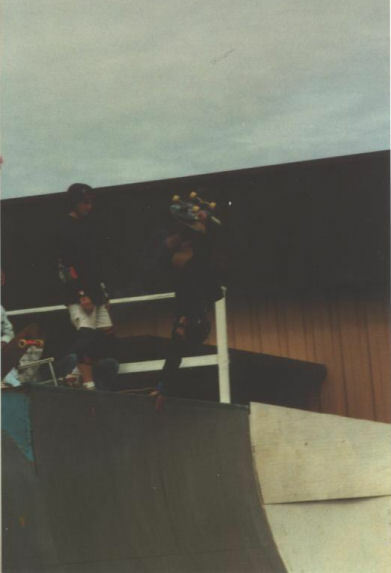 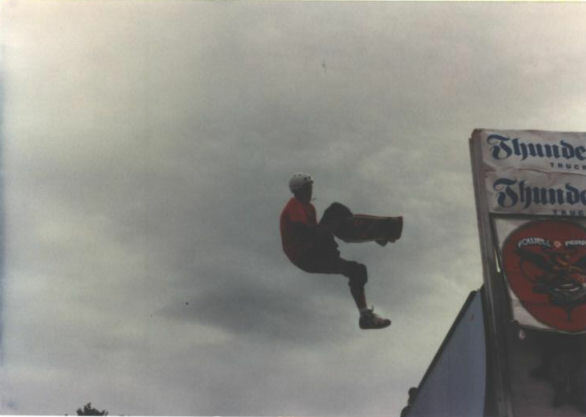 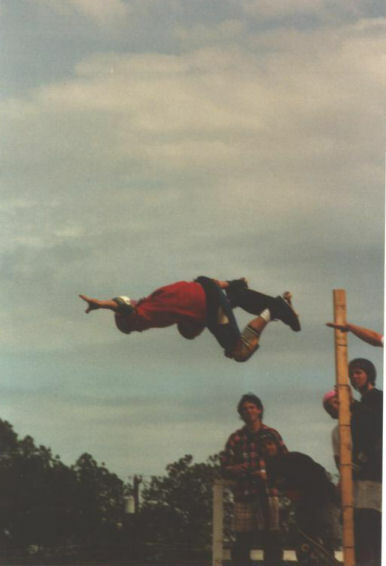 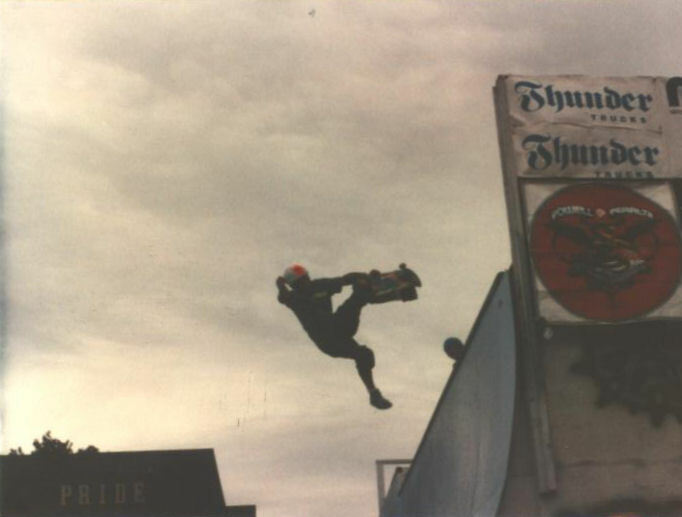 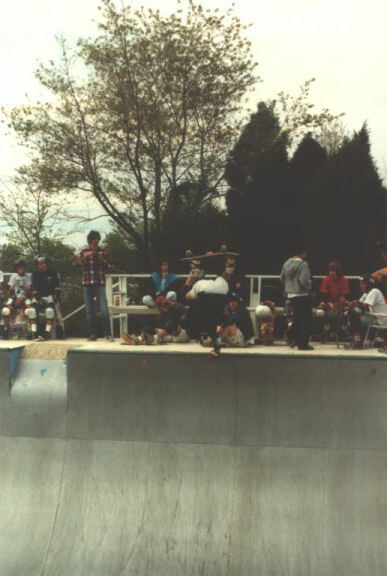 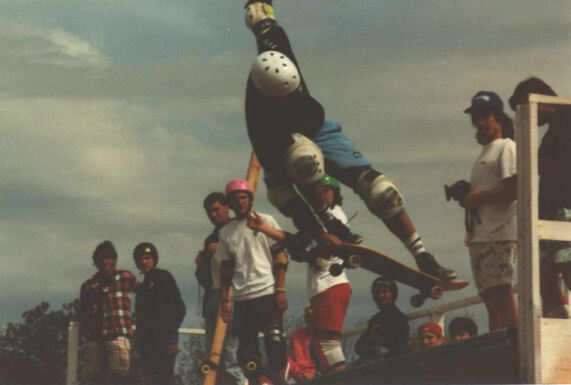 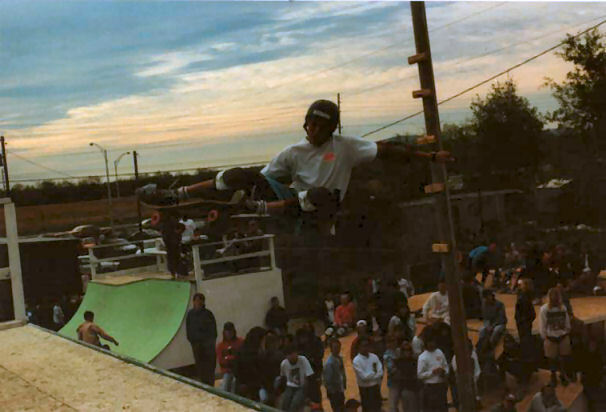 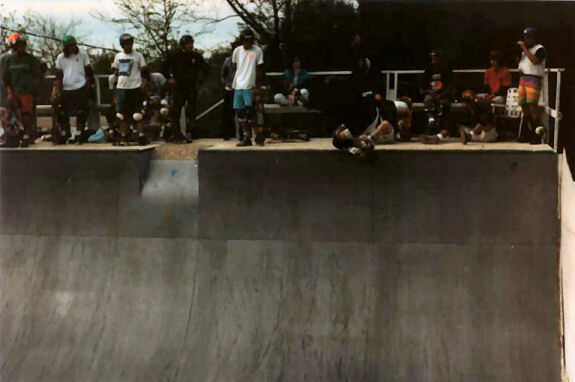 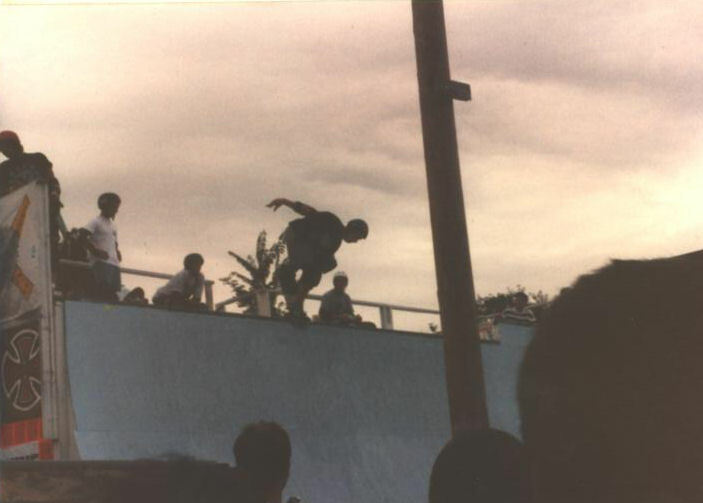 In 1988, the NSA (National Skateboarding Association) held their Amateur Regionals for the East (NE and SE) at Underground Skatepark in Huntsville, Alabama. 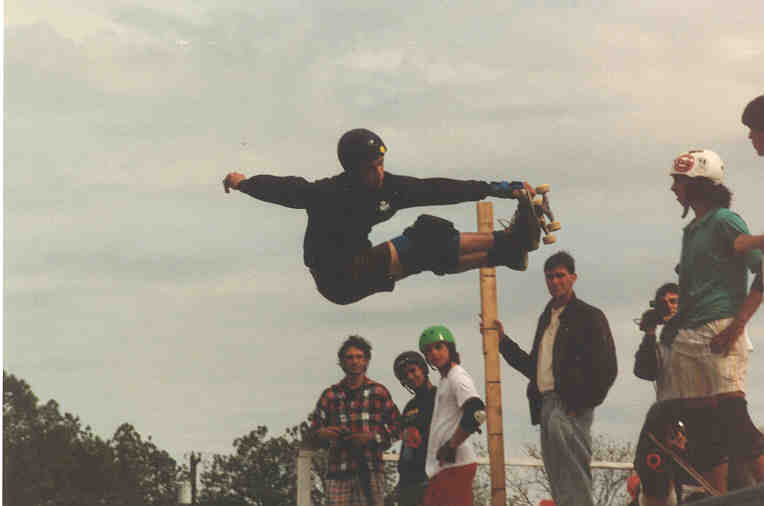 It was an amazing contest featuring some of the best skaters I had ever seen...many who went on to become great pro skaters and are still skating today! 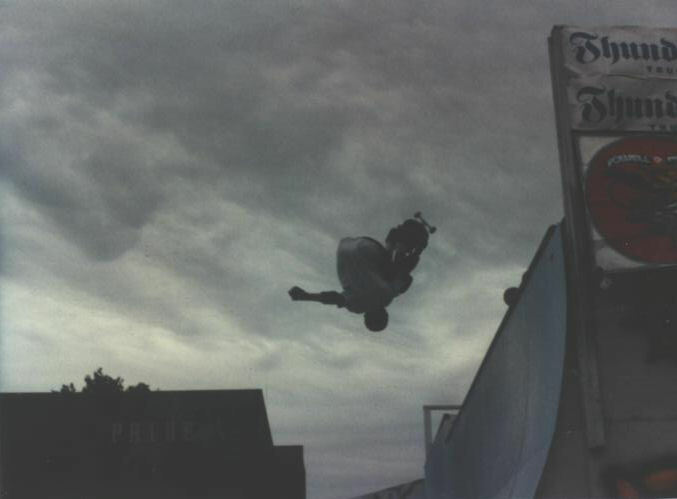 The day before finals were the practice and preliminary. 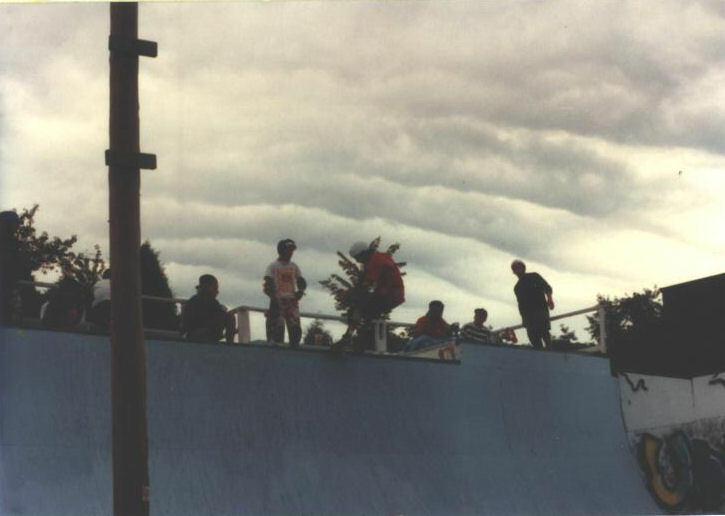 However, the bad weather moved in by the afternoon and closed the park down. 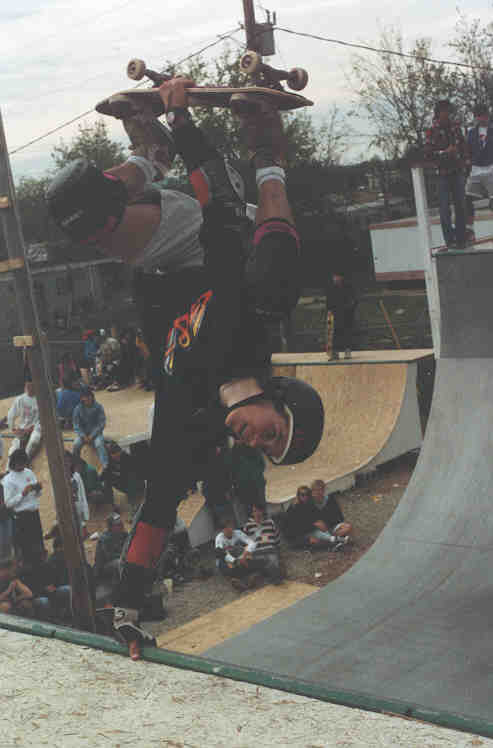 Lots of amazing skating was thrown down...practice is always better than the actual contest. 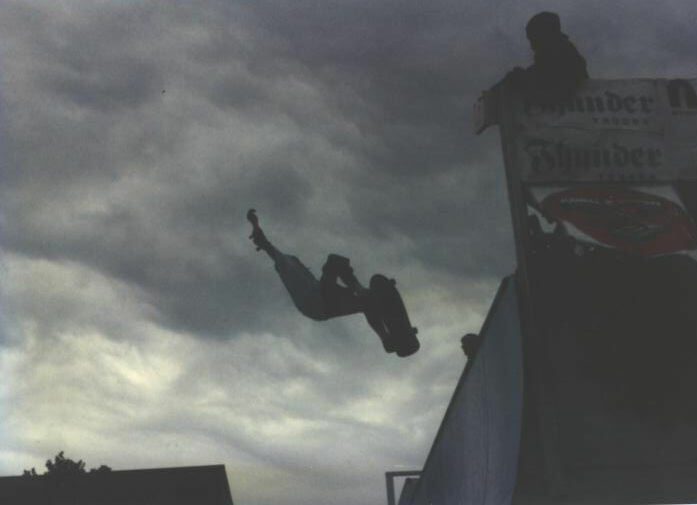 Sean Miller ripped in practice but hurt himself and did not make it to the finals. 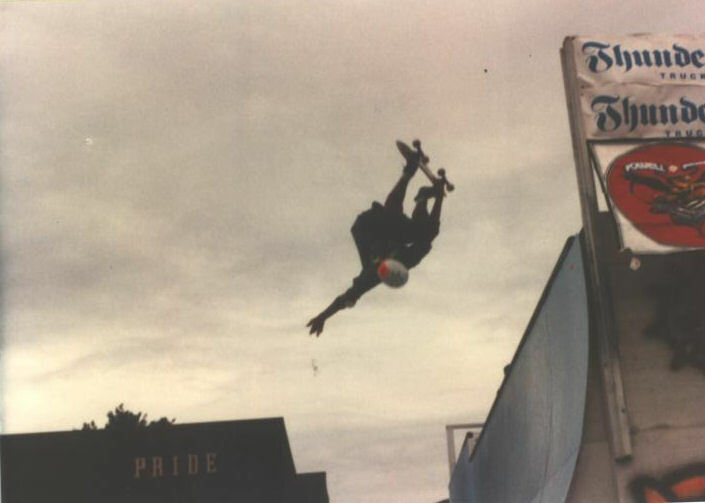 Finals brought out the big tricks. 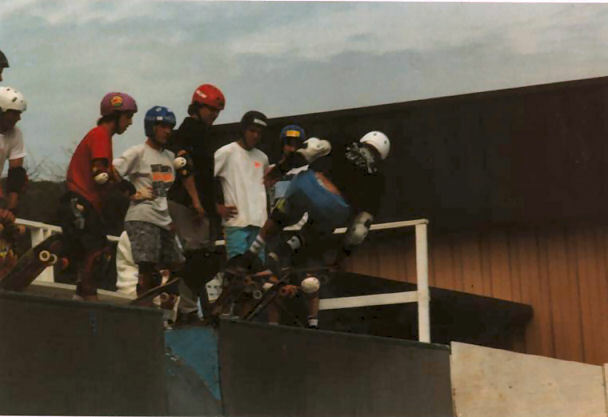 A lot of people held back in practices so they didn't let the competition know what they had up their sleeves. 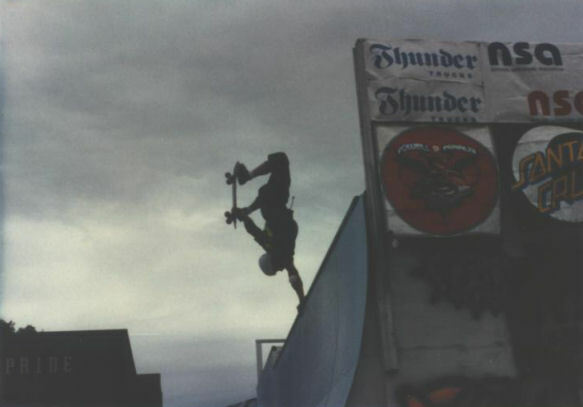 For me (Solomon), it was the first time I had ever seen lots of the tricks done that day. 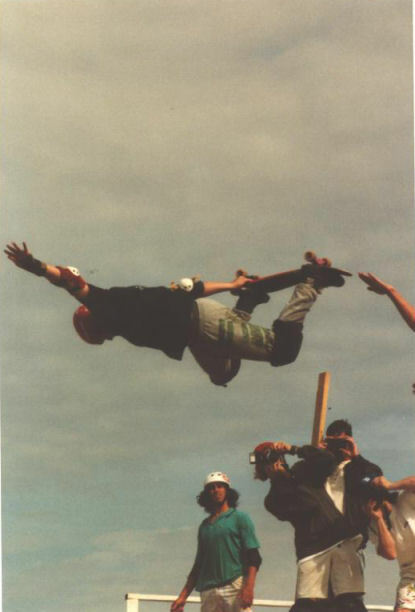 Buster Halterman and Brian "Kentucky" Boyd stood out the most in my mind. 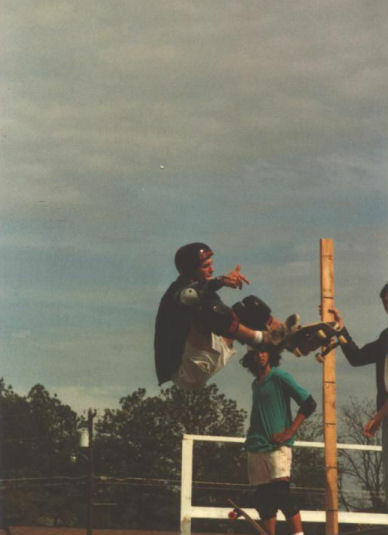 They just plain ripped more than I had ever seen in my life. 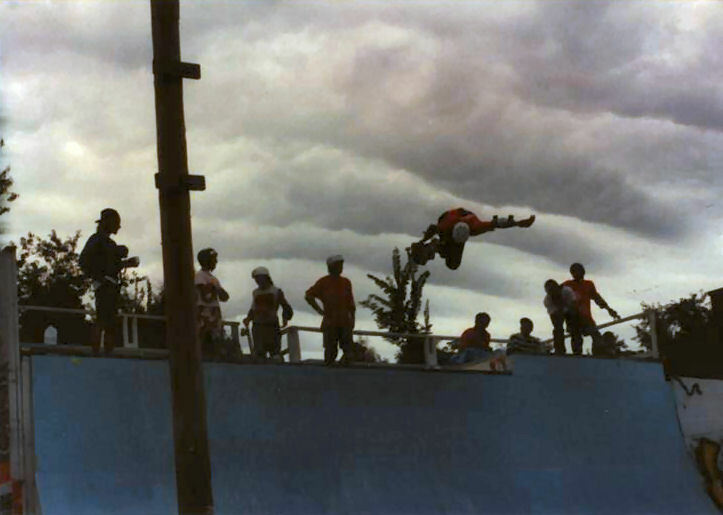 After the main contest was over, they held a big air contest.....winners for both frontside and backside highest air. 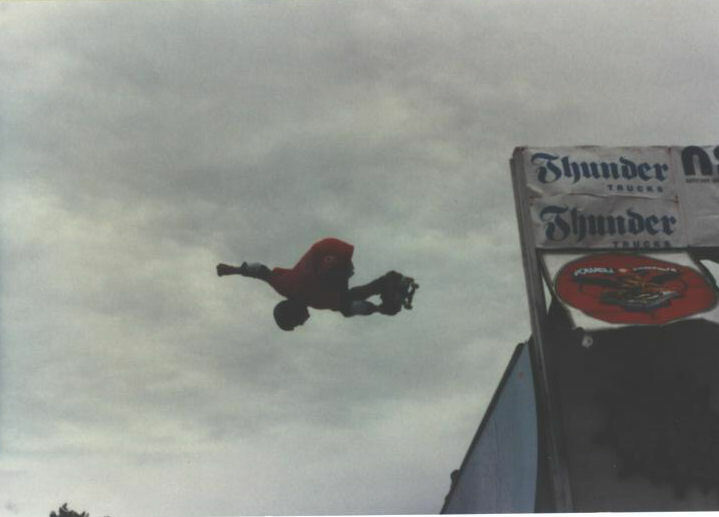 Bill Hubbard friggin soared!!! 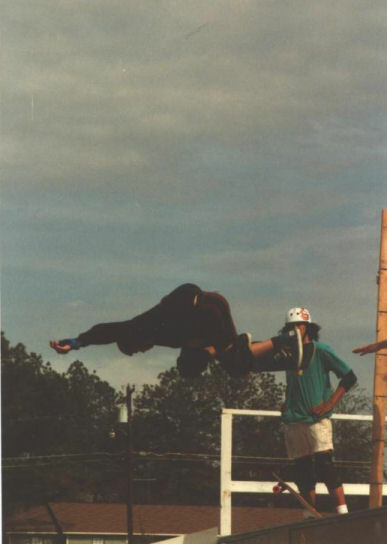 ......and he is not a small guy!